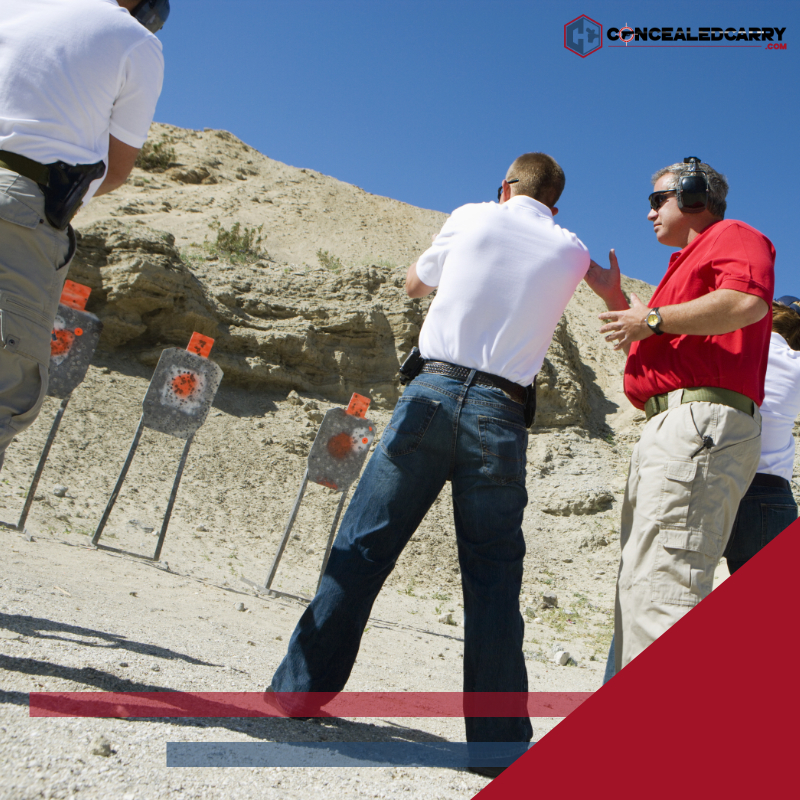 On Saturday morning the 11th of May, our instructor Rick Strohmeier will be teaching a state certified concealed carry class for the public in Louisville. To attend, register here or over the phone. Additional details and information about the class and location are below. The class will run from 8:00am to 2-4pm depending on the number of questions and size of the class. The class curriculum and format is universal in the state of Kentucky. The class includes in-class demonstrations and review of real life scenarios. An additional four hours are spent going through the core concealed carry class material which covers the proper way to clean both revolvers and semi-automatic pistols, equipment for the maintenance and cleaning of pistols, what to do if you are pulled over by a police officer, and the laws concerning the carrying of concealed deadly weapons and the lawful use of deadly force in protecting ones self and loved ones among other things. Students can follow along in the CCDW Booklet provided. We will also review “The Four Fatal Mistakes That Got A Police Officer Killed in a Deadly Encounter.” There is a 25 question, OPEN BOOK, test in which students must get a score of 70% to pass. Following this classroom portion we will run the qualification shooting (live fire) portion of the class on our private range. Students are required to fire 20 rounds at a B-21 target at 7 yards or 21 feet from the students. Students are required to hit 11 out of 20 to qualify. Students that fail their written test or live fire qualification have a second chance at both, either the same day or within 30 days of the class. Please do not worry about the tests. We will spend all day preparing you and will be there to guide you! You do NOT need to own a pistol to take the class. 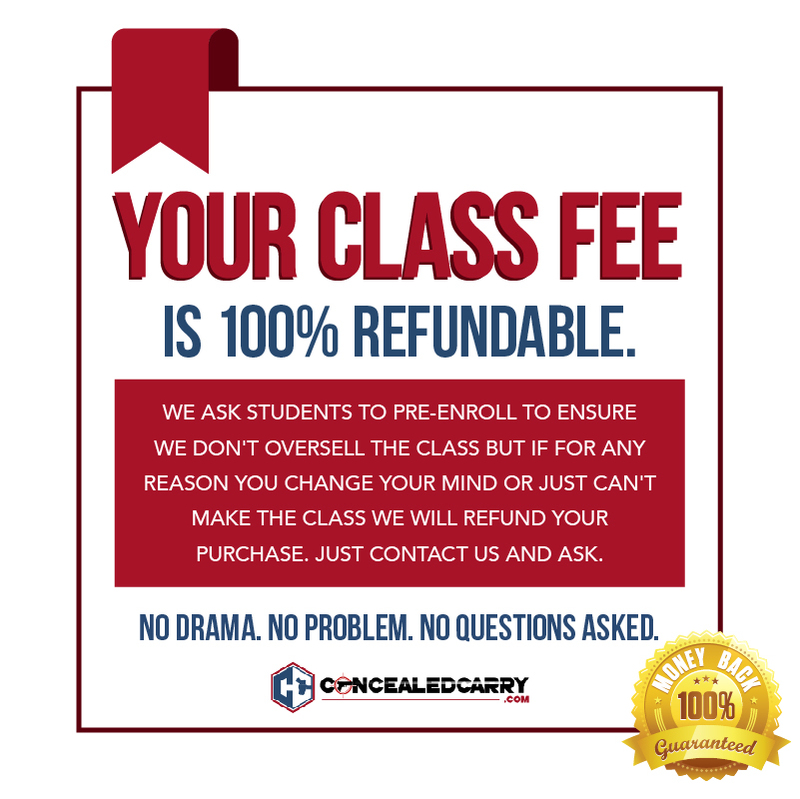 For a small fee the day of the class you can rent a pistol from the instructor and this is a great way to try different guns before you make your own purchasing decision. *Military and Veteran discount available for those actively serving or honorably discharged from the US Military. Please contact us via phone or email to receive your military discount. *If you have any special needs please contact the instructor to make arrangements in advance so we can be sure to accommodate you. 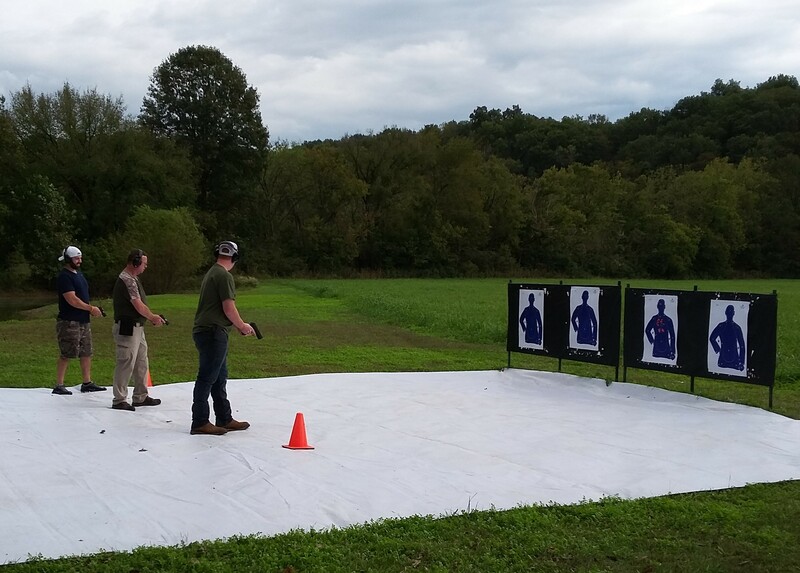 Rick is a certified NRA Basic Pistol Instructor as well as a concealed carry instructor/trainer certified by the Kentucky State Police. This means he also trains other instructors to be certified by the State of Kentucky. He is also a former military police officer with over 25 years of firearms experience and training to offer his students. Register by clicking on the “Add to Cart” button above and completing the online secure checkout. As soon as checkout is complete all the class information you need will be displayed on screen and sent to you via email with your receipt. As an alternative to paying online you can also call our office and register over the phone at 502-234-7435. The exact class location is given to students when they enroll online or over the phone. Since we teach the class at a private location we don’t publish the address on the internet. The class is held at our East Louisville location. 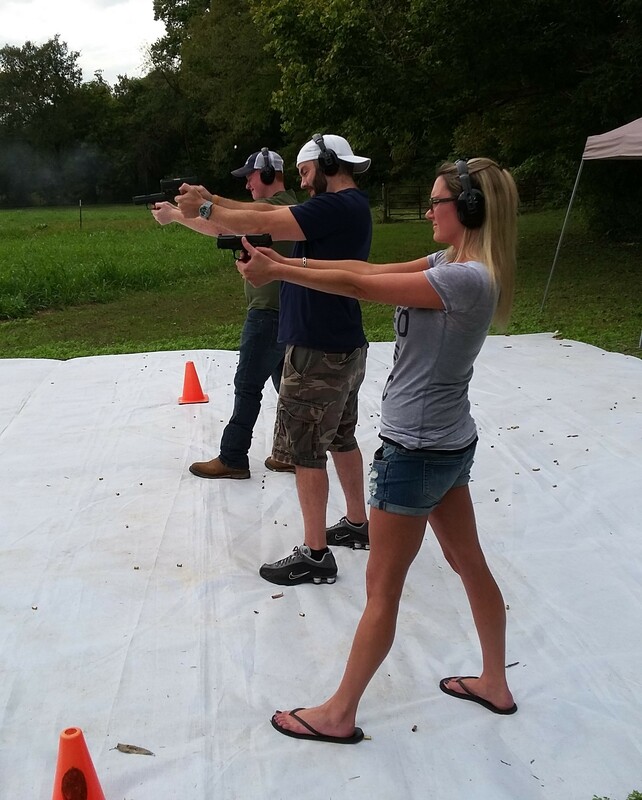 Learn more about the East Louisville CCW class location here. How Do You Apply For the Permit? After the class is complete, the instructor will submit information about your pass or fail status to DOCJT. You will receive a class completion certificate THE DAY OF THE CLASS. After receiving the certificate, you can either visit your local sheriff’s office or you can complete your CCDW application online by uploading a PDF of the training certificate, a PDF of your Drivers License, and a PDF of your picture you want on the license. It is all very easy and we will give you more detailed guidance in the class. What Do Rick’s Students Say About His Class? I took the CCDW class from Rick Strohmeier on June 10, 2017. I wanted to tell you how much I enjoyed the class and what a great instructor Rick is. Even after the long day of instruction and going to the gun range, he took time to show me how to clean my gun. 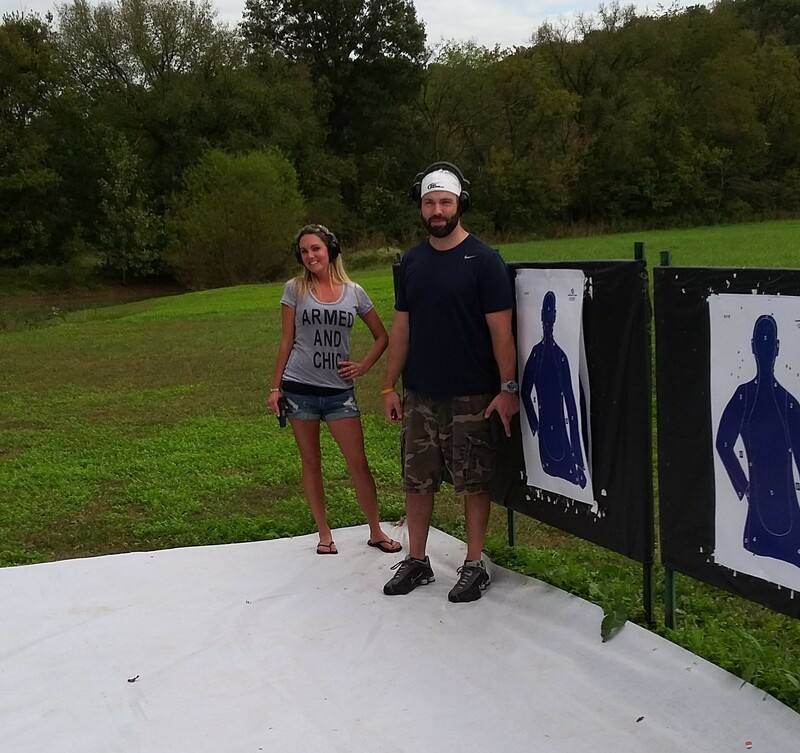 I have had very little experience with guns in the past, but thanks to Rick, I scored 100% on the written test and hit the target 20 our of 20 times. Keep up the great work that you do. Rick was extremely thorough and proactive about safety. I have to admit I was concerned schooling with untrained shooters like myself. Rick eliminated all worry. He was patient even when such patients was tested by my standards from time to time. One student kept me alert. He was a tad too excitable, and failed the range portion for good reason. At one point, said student used his right hand, while holding firearm, to adjust his glasses. Rick was right there. Does Kentucky Accept Online Concealed Carry Classes? Rick is a well rounded instructor and clearly a subject matter expert. For the first time in a long time someone taught me the subject matter instead of how to pass a test. I feel I can away from the class with such a. better understanding than I ever had before. Rick was able to articulate the course material so that everyone understood and there was a lot to learn, so if you think this is a two hour and your done your wrong. I will take much more training options from him in the future. Rick is a great instructor with many years of experience. He explains things well and gives real life stories and goes over scenarios with the class. Great trainer in the classroom and on the range. Highly recommend others to take his training. In the future I will be signing up for his other trainings he offers. © 2019 Kentucky Concealed Carry. All Rights Reserved.